A black and white negative of an unidentified woman, groom and bride on July 26, 1941. The negative envelope states Reid. 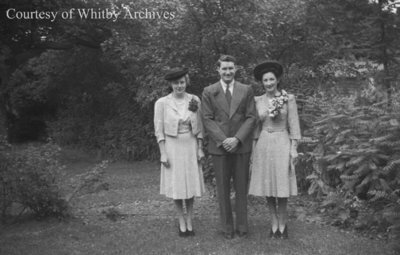 Reid Wedding, July 26, 1941, Marjorie Ruddy. Whitby Archives A2013_040_762B.